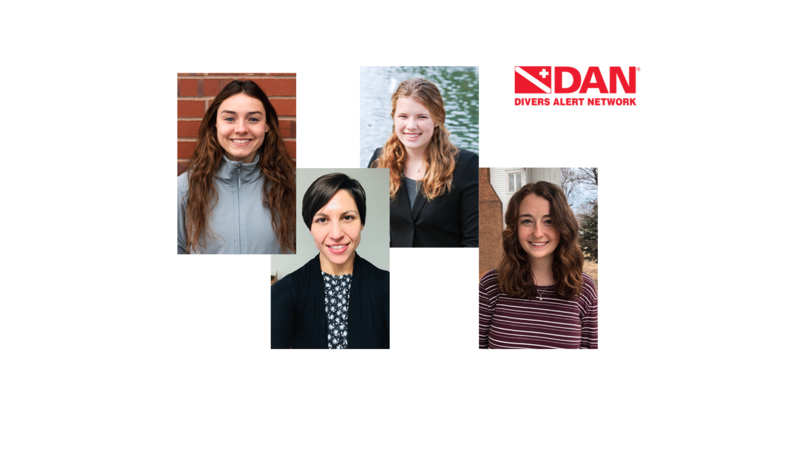 The Divers Alert Network has announced its latest summer interns, who will get to spend three months at DAN headquarters in Durham, North Carolina. Hannah DeWitt will be pursuing dive physiology research with DAN. Elizabeth Helfrich will focus her summer efforts on studying diving and children. Andrea Filozof will be working with the director of injury monitoring and prevention. Abigail S. Dias will be working on the DAN diver safety materials this summer.